According to a new study, undertaken by the Center for International Forestry Research (CIFOR), while agriculture appears to be a main driver of deforestation in the Democratic Republic of Congo, there is a ‘lack of strong evidence’ to support widespread concerns about extensive forest loss in general and about shifting cultivation’s contribution in particular. In an opinion article in Science magazine more than 45 scientists asked policymakers and environmental agencies to “get the science right when paying for nature’s services”. Water shortages have begun to eat into California's milk production as the authorities impose unprecedented restrictions on usage. Listen to Justin McCarthy and Phelim O'Neill in conversation about new overseas outlets for Irish beef and lamb and meet Macra na Feirme's new president. 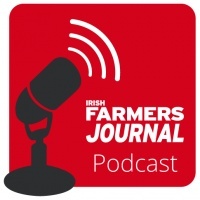 I'm producing a new weekly podcast series for the Irish Farmers Journal. In the first episode, news editor Pat O’Keeffe, dairy editor Jack Kennedy and agri-business editor Eoin Lowry discuss the future of the dairy industry as milk quotas become history; Thomas Hubert talks to US beef buyer Bruce Firnhaber; and Mairéad Lavery tells us why Maria Walsh is on the cover of Irish Country Living. The so-called "landscape approach" - a holistic way of looking at often competing land uses within a given area - is an increasingly prominent way of thinking across ecological, agricultural and social fields, yet it has so far defied easy definition. Researchers are now sifting through thousands of pages of literature to to establish the state of the art in landscape-scale studies. The availability of ritually slaughtered beef and lamb to supply majority Muslim countries has been a recurring theme raised by food buyers visiting Ireland as part of Bord Bia’s Marketplace 2015. After the horror of the Charlie Hebdo shootings, France is in a state of tension as it goes to the polls this month. Sophiane Nafa (photo), a social worker in Paris's 19th district, is among witnesses to the deteriorating mood of an increasingly divided nation. Une fois n’est pas coutume, oubliez les 10 kg de bagage à main et les paysages flous à travers un hublot à grande vitesse… et prenez la mer. Le Centre de Recherche Forestière Internationale (CIFOR), avec lequel je collabore régulièrement pour ses sites web de vulgarisation scientifique, recherche un stagiaire francophone pour ses activités de communication. Si vous cherchez une expérience dans la production de contenus multimédias et l'organisation d'événements dans le domaine du climat et de la gestion forestière, je vous recommande cette super équipe ! Les gars, vous avez du remarquer en passant chez moi ces derniers mois que mon home sweet home prend du caractère. Le meuble à tiroirs, incrusté de bois, pour mettre de l’ordre dans mes notes en pagaille, la lampe à huile ventrue transformée en plafonnier… On peut sortir de la déco Ikea sans forcément payer plus cher ! Mon secret, ce sont les ventes aux enchères. For a decade, the European Union (EU) has been negotiating with tropical timber-producing countries to stem illegal logging. Recent research indicates that they may have to leave small-scale producers aside—temporarily—to bring their joint efforts to fruition. 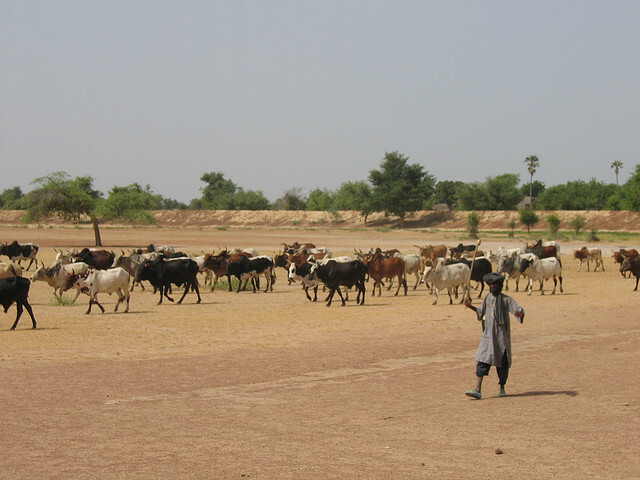 For generations, Malian farmers have traveled north and south with their cattle and sheep, following grass and water, and meeting traders in market towns to sell some of their animals. This seasonal migration is a way to cope with unpredictable rains but is becoming more complex, however, as expanding permanent farms occupy land previously used for grazing. In response, people in Mali’s livestock industry are becoming more sophisticated, taking advantage of expanding mobile phone, road and banking networks to fine-tune their work to meet the demand of meat consumers in neighboring countries’ coastal cities.